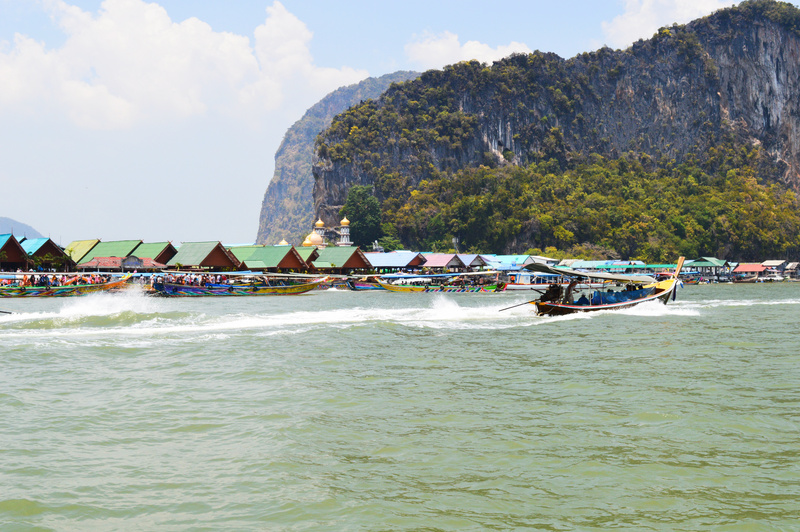 Top things to do in Phuket for 3 days. Summer is officially here! And all I can really think of is the upcoming holidays – sunsets, beaches, sand and sun. 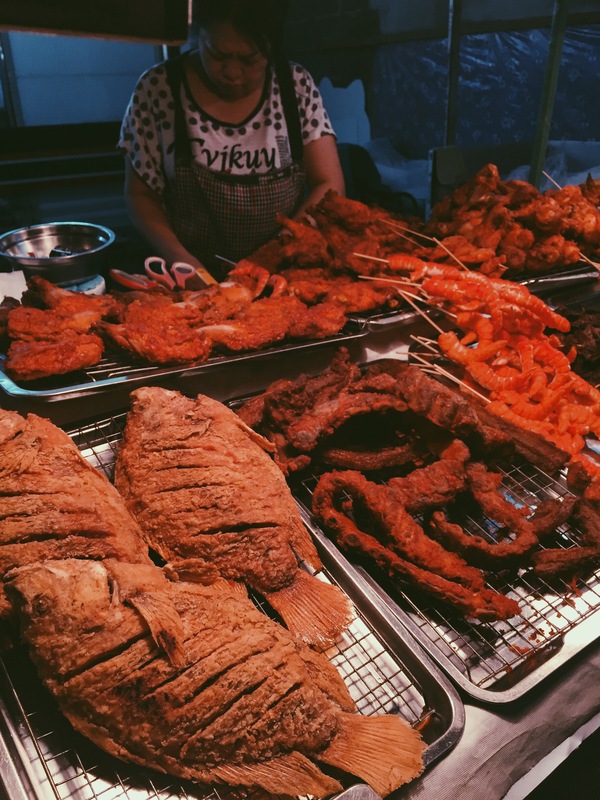 My mind is in a dreamy state and I thought that it’s the perfect time to create a post about a trip I had in my bucket list for quite a long time. Thailand is generally heaven on earth. I had fallen in love with the country ever since I traveled to Bangkok but guys, the coastal side is a totally different thing. An actual paradise filled with colours, smells, flowers and smiles. So international yet so local at heart. I went to Phuket straight after my trip to Hanoi, Vietnam, so the distance was quite bearable. However, as a newbie in the area with limited research prior to the trip, I wasn’t quite aware about where to stay. So my millenian heart beated towards the young and loud Patong Beach. My lovey and I, arrived there late at night so all we could see was neon lights, bars with super loud music and people all over the place, partying as if there’s no tomorrow. The vibe was epic. [Generally speaking, there is quite a lot to do in the area, from classic restaurants like Hard Rock Cafe to massage lounges – with ridiculously cheap rates – to bars]. At this point, I would like to mention that I enjoyed the absolute best smoothies with a combo of fresh, frozen pineapple and mango. Cheers to the tropics! Since my stay in Phuket was short – just 3 days – I thought I should take advantage of every single second. And this is why I chose to attend daily boat tours around the islands and beaches which is something I strongly recommend to you guys. 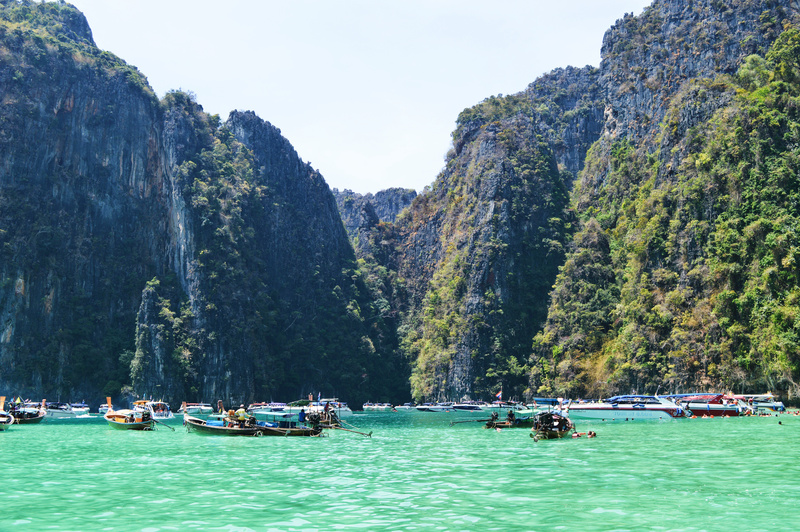 On the first tour, we headed to Kho Phi Phi islands where we chilled at the coast where the movie The Beach was filmed with Leo. It was packed with tourists and other boats however it was totally worth going. Imagine this: white sand and crystal clear green-ish waters. Ah-mazing. What followed next was yummy buffet lunch at this floating village. Imagine this now; tons of curry chicken and steamed sticky rice with mango. Put simply; foodgasm. The vibe in Thailand is generally so cool, open-minded. You get the chance to meet with so many people and share your experiences and life stories. Everyone is in a laid back situation so the atmosphere is superb for light chats. Um, yes this was quite scary, I have to confess. Snorkeling time is the best time! 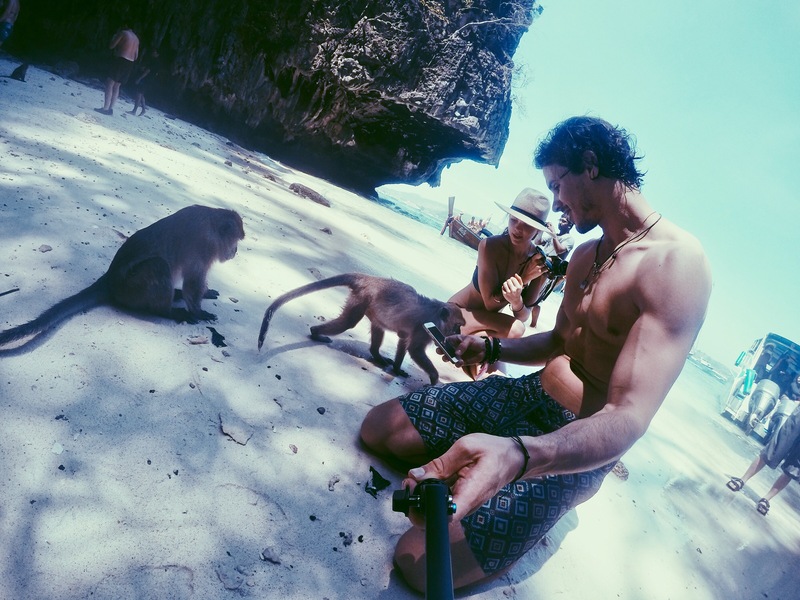 During the excursion to Kho Phi Phi islands, we stopped at Monkey beach and watched those little cuties do their thing. 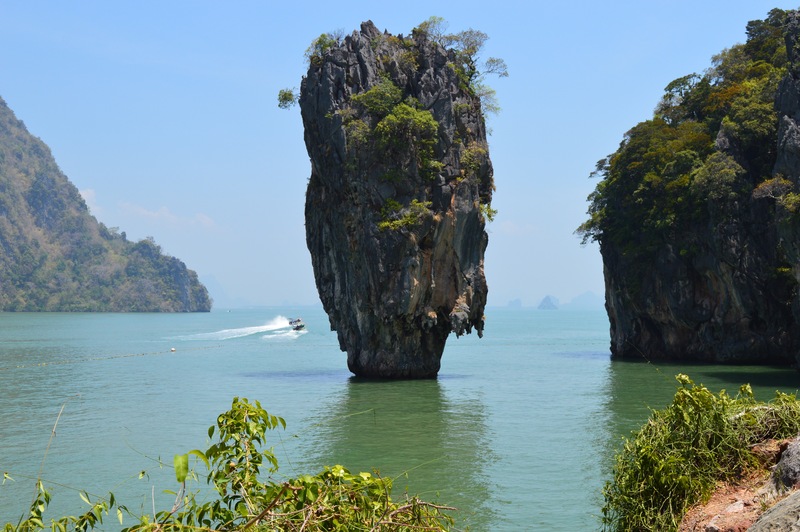 The next day’s trip was off to Khao Phing Kan also known as James Bond island. 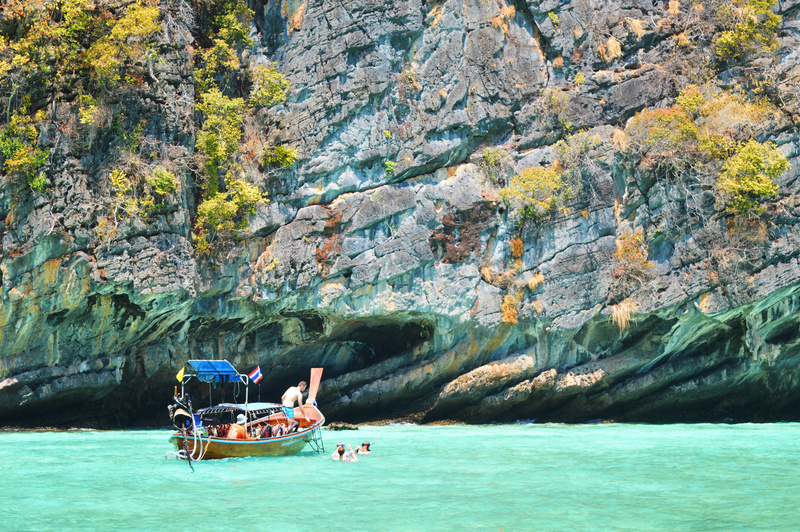 It’s considered to be one of the top destinations in Thailand. Basically there are limestone tower karsts that are a part of Ao Phang Nga National Park. 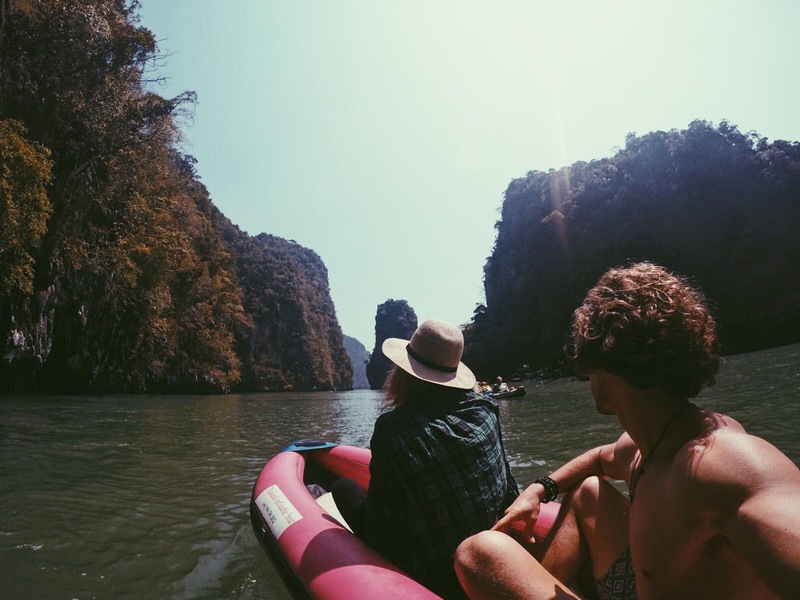 On our way to James Bond Island on a cute plastic boat. James Bond island, as the name suggests, was featured in the 1974 James Bond movie, The Man with the Golden Gun. The third excursion was at Raya bay, a beautiful sandy beach, perfect for a Sunday’s chill. While there, I enjoyed the surprisingly tasty Durian chips (see picture below). If you google Durian, the first thought that will pop is that it’s the ugliest fruit you’ve ever seen. That’s true, it looks like a dragon’s egg but the chips kind of taste like sweet potato chips; try them! Phuket was flawless; fresh, loud and so alive. There are certain places in this world where I feel like I’ve left a piece of me. Phuket is definitely one of them. If you ever get the chance, please do consider it as an option; you won’t regret it. P.S. For any special tips, please leave a comment below! wow your pictures look amazing!!! Im so excited to visit Thailand this December! !